Hong Kong is not just a business district. People really live there, as well as work there, but they still do not vote there, at least not in a meaningful way. Inspired by the 2014 Umbrella Protests, acclaimed expatriate cinematographer Christopher Doyle explores the hopes and anxieties of three generations of Hongkongers, through their own voice-over words in Hong Kong Trilogy: Preschooled Preoccupied Preposterous (trailer here), which screens during the 2016 San Francisco International Film Festival. All three generations are defined by a common central conflict in their lives. Obviously, for twentysomething college students, it was the democracy demonstrations that were broken up with tear gas at the behest of the Mainland Communist Party, inadvertently proving the lack of political freedom in Hong Kong. However, the young grade schoolers are nearly as frazzled by the constant barrage of tutors and cram schools pushed on them by their parents. In contrast, many Hong Kong seniors still live with the repercussions of the long standoff with the Mainland that often separated lovers and family members. A diverse cross-section of average citizens will explain their perspectives to Doyle, in disembodied interviews, synched-up to match the speakers in-the-flesh, as they navigate the bustling city. It is indeed tough to be a kid in Hong Kong, especially if you are bullied like the husky Vodka. Yet, somehow Little Red Cap (or Lip Ching-man as her parents named her) seems to make her own rules. Much to the astonishment of her photogenic teacher, Selena Cheung, Little Red Cap has indiscriminately adopted just about every major religion and regularly proselytizes for them all at school with equal fervor. It is hard to know what to make of her. She seems to come from a reasonably dysfunctional family of modest means that lives on a houseboat and appears willing to indulge her evangelical inclinations. As a cinematographer, Doyle obviously notices when someone absolutely lights up the screen, because he often has the weird but charming Little Red Cap reappear in later sequences. Naturally, that is her making holy water deliveries to the Umbrella Square. The tent city was laid out in such an orderly fashion on the Admiralty plaza, mail was reportedly delivered to protestors’ tents. We meet the graphic artists documenting the movement and the one-generation-older hipster who opened an informal open mic club to showcase musicians affiliated with the movement. Unfortunately, its lack of proper licensing allows the cops to confiscate their beer whenever justice gets thirsty. By far, the weakest and most self-consciously stylized segment focuses on the “preposterous” seniors who take speed-dating tours, in some cases hoping to fill a void in their lives that have been open for years. Even with the support of Little Red Cap, Teacher Selena, and her dead beat rapper boyfriend, “Preposterous” cannot match the energy and focus of “Preschooled” and “Preoccupied.” At least it starts strong with the former and devotes the most time to the latter. Doyle’s approach is unnecessarily artificial, but many of his subjects are so compelling, they command our attention nonetheless. 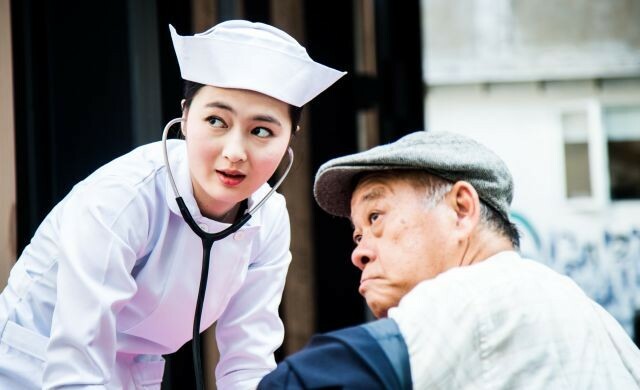 Even with the spotty third act, Doyle’s directly stated goal—that the world should start listening to Hong Kong’s marginalized younger and older generations—is quite laudable. What they have to say is absolutely worth hearing. 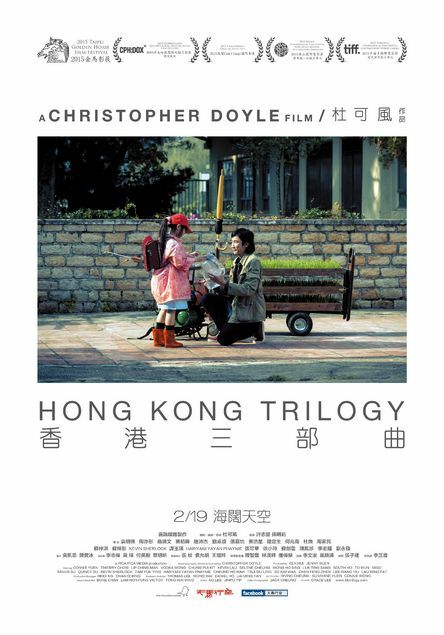 Sometimes inspiring and sometimes a little strange, Hong Kong Trilogy is still highly recommended as a decidedly pointed yet idiosyncratic response to the harsh crackdown on the Umbrella Protests. It screens this Friday (4/22) and Monday (4/25), as part of this year’s SFIFF.